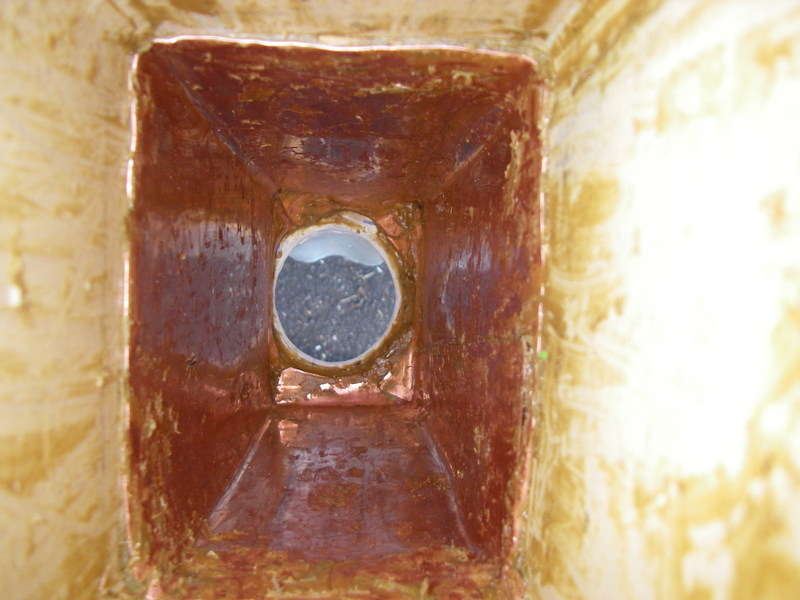 Because we are using ePaint for antifouling, we couldn’t just paint the inside of that well. ePaint uses reactions with UV light in order to work, and that’s a dark spot. 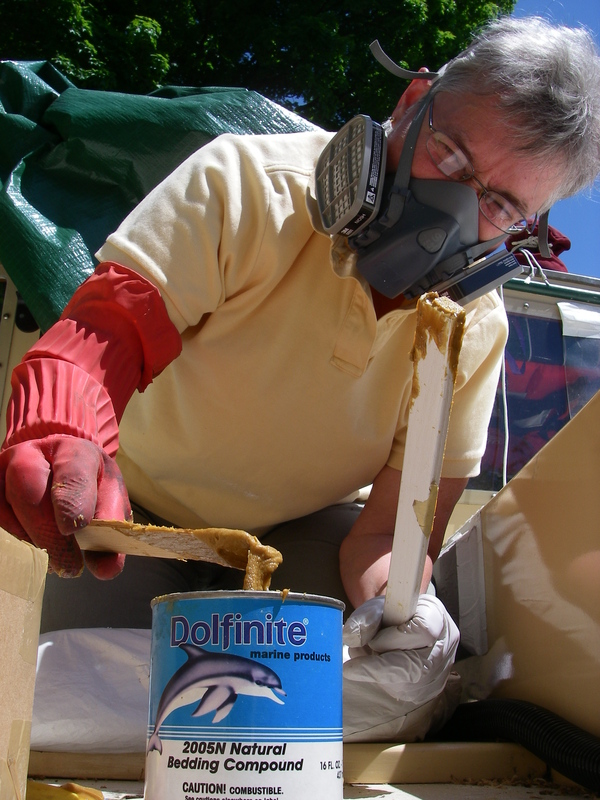 Regular antifouling would have been an option, but would not have been accessible for new coats in the future. So we got some soft copper sheet and, thanks to Theo again, and some intricate cutting and folding, that area is now lined with copper. 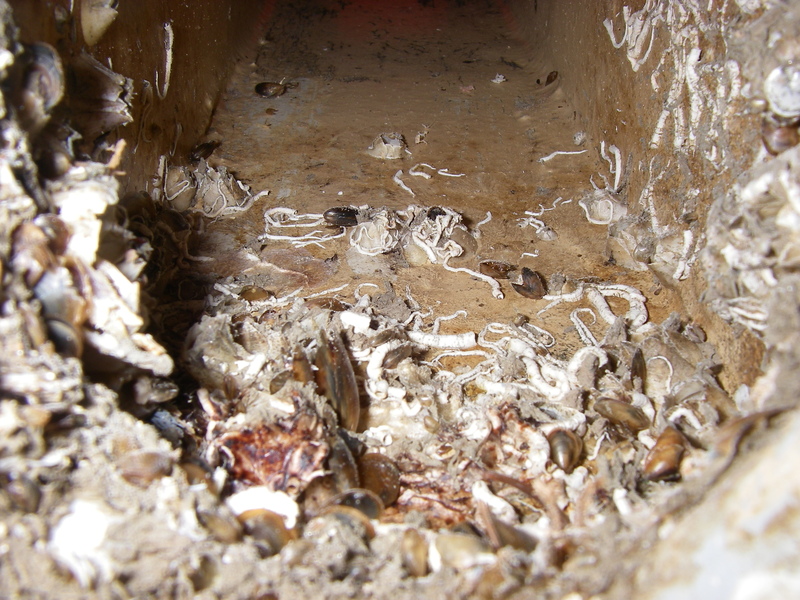 It’s bedded in Dolfinite, which was its own huge challenge. Suzanne, who did the dolfinite part, said “put this picture on the blog, and tell them that I was singing ‘what I did for love…'” Which she was. 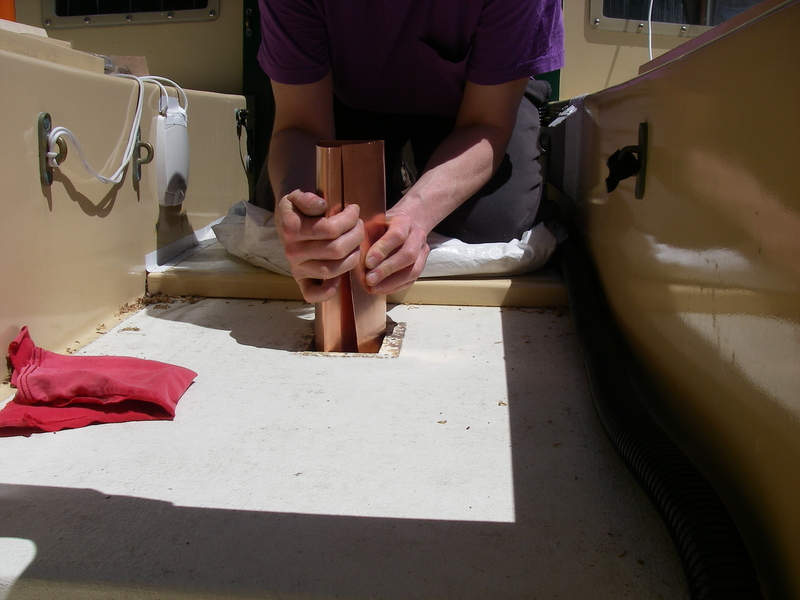 All of this steering/rudder work has been going on gradually for months. 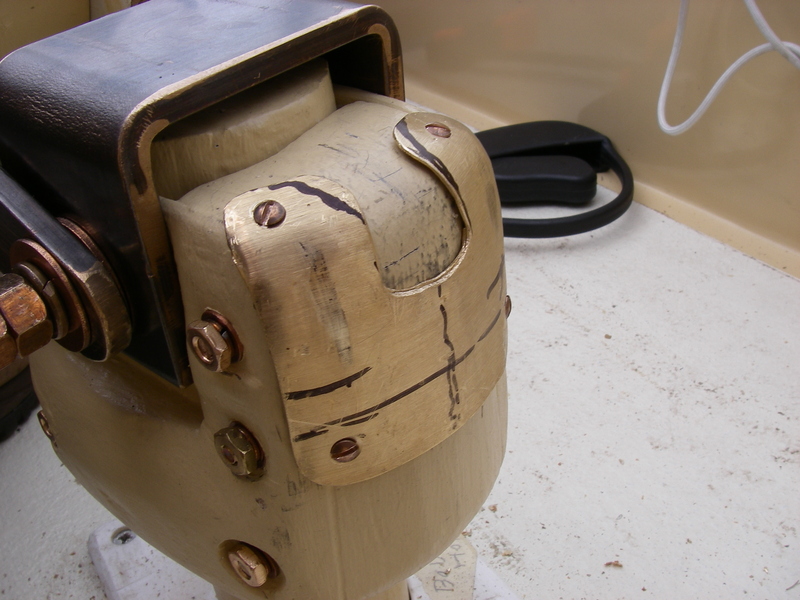 The rudder even got several coats of bottom paint while it was off and so easy to work on in the heated shop, and the aft edge of the keel got its own turn with antifouling before the rudder went back on. 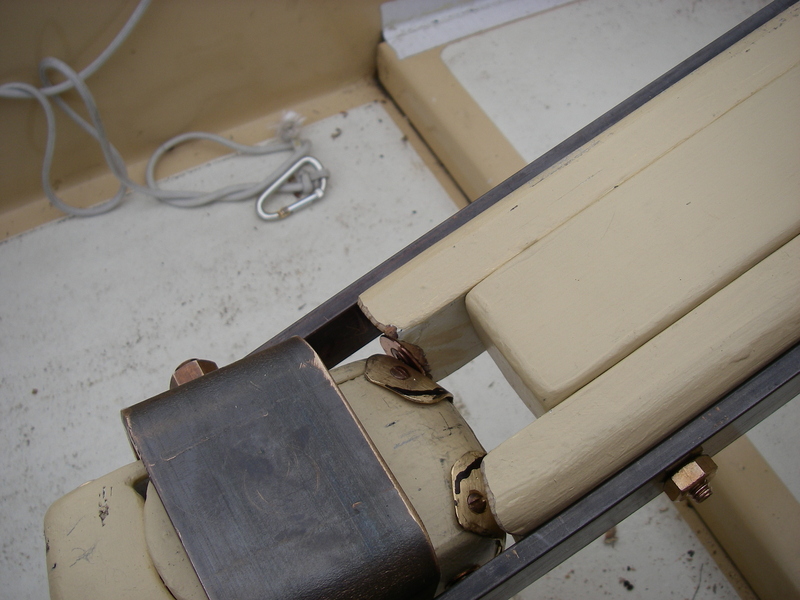 This brings us to the present, as far as the steering rehab, where we are now working on the rudder stop. The next post will talk about that process.